RINA has reported that expanded international testing, inspection, certification and consulting grew strongly during 2014, propelled by an upturn in marine, acquisition in the energy sector and international diversification. Turnover for 2014 grew 13 percent to Euro 333 million. EBITDA (adjusted) grew to Euro 37.7m. According to a statement from RINA, the marine business grew 5 percent in 2014. New orders last year included two cruise ships for MSC Cruises. The 5,300-passenger vessels will be built by Fincantieri and will include innovative open spaces and very high environmental performance. RINA Services is also classing the stretching project for MSC Cruises, the so-called Renaissance Project. Also in the cruise sector Seabourn Cruise Line ordered two 604-passengers cruise vessels to RINA class at Fincantieri and RINA class was chosen for two similar vessels to be built for Silversea Cruises. RINA Services, the group company which delivers ship classification and certification ended the year with a classed fleet of 5,166 vessels totalling 34m GT and with an order book for 680 vessels totalling 4.6m GT. 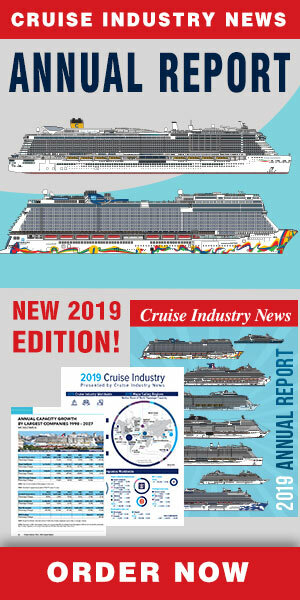 RINA also confirmed its place as the global leader in classification of passenger ro-ro ferries and ro-ro vessels in general and as a major player in the cruise ship sector, whether measured by classed fleet or new order book. RINA also focussed on providing value-added services to shipowners, always aiming to reduce costs, reduce risks and improve fleet availability. RINA’s global network led shipowners to move 400 ships totalling 2.6m GT to RINA class during 2014.